With age, our skin loses its fullness and the turgor of youth and becomes thinner, wrinkled, inelastic and lax. For the face, there are several surgical and non-surgical approaches that can improve the quality of the skin. Injectable agents, chemical peels, anti-aging skin lotions and creams and a multitude of lasers can all facilitate improvements. The results can be quite striking and pleasing. An area that isn’t discussed much but which bothers many women are their hands, specifically the back of them. 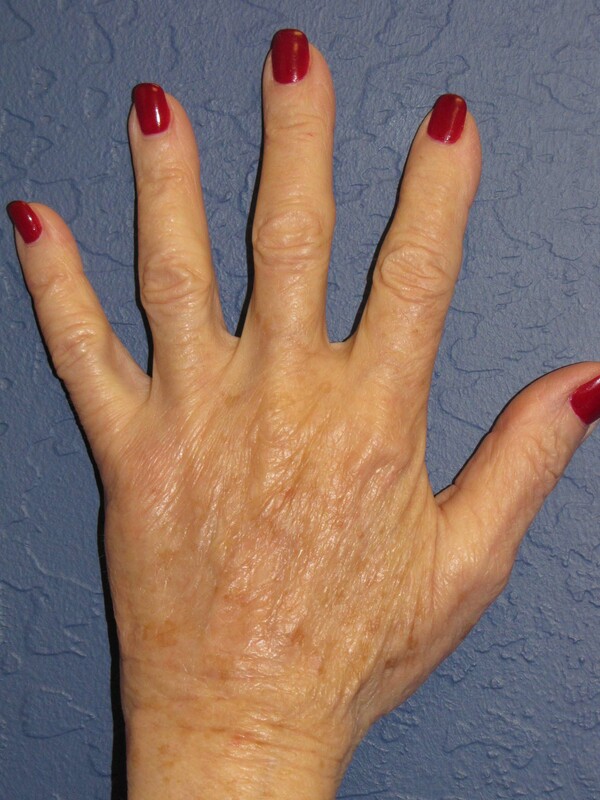 Their faces may look great after a facelift, blepharoplasty, chemical peels and lasers … but their hands look old. Very old. In fact, they create a lack of harmony, a mismatch which can be quite striking and immensely bothersome. 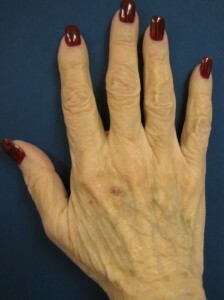 Often the skin is very thin and seemingly transparent with multiple tendons and veins clearly showing through. The tissue is also wrinkled, lax and inelastic. 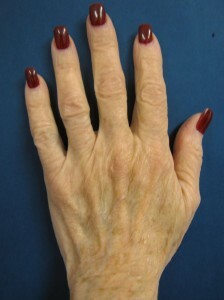 Is there a good solution to rejuvenate the back of the hands? Absolutely! And it doesn’t require any surgery. It is the injectable soft tissue filler Radiesse® which I have also used with great success in the treatment for facial rejuvenation. Though it is an “off-label” usage, injecting Radiesse® into the back of the hand can result in a long lasting rejuvenation with increased thickness, firmness and elasticity, loss of transparency, and reduction of wrinkling and laxity. 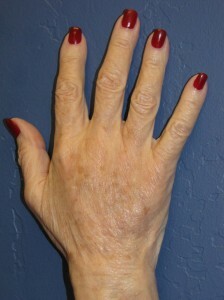 Typically, one 1.5 cc syringe of Radiesse® is used for each hand with the injection itself being quite tolerable. 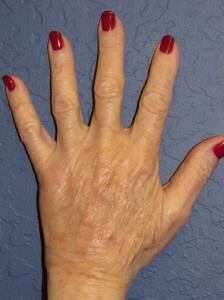 There can be variable amounts of swelling afterward. For some individuals, additional supplementation may be required a few months later in order to obtain a more extensive effect. The results can be quite profound and rewarding. How long does the improvement last? Though it is variable among individuals, the results can persist for up to one to one and a half or more years. If you would like more information on rejuvenation of the hands with Radiesse®, Juvederm®, facial rejuvenation or on any plastic surgery procedure that I perform or to schedule a complimentary consultation with me, please call my office at 480-451-3000.